We’d love your help. 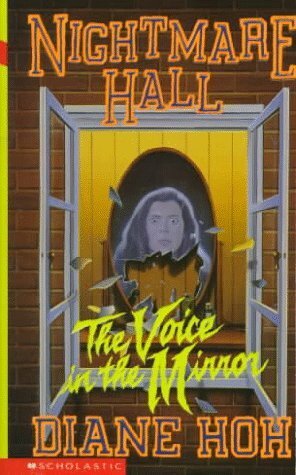 Let us know what’s wrong with this preview of The Voice in the Mirror by Diane Hoh. Salem U. is buzzing with holiday activities. Annie loves the holidays, until two of her friends have horrible accidents—and she may be next. What Annie doesn't know is that one of her friends has a dark past. He has murdered a girl and now his mind is split in two. One part that of a student, the other that of a guilty killer. He listens to "the voice in the mirror" that tel Salem U. is buzzing with holiday activities. Annie loves the holidays, until two of her friends have horrible accidents—and she may be next. To ask other readers questions about The Voice in the Mirror, please sign up.